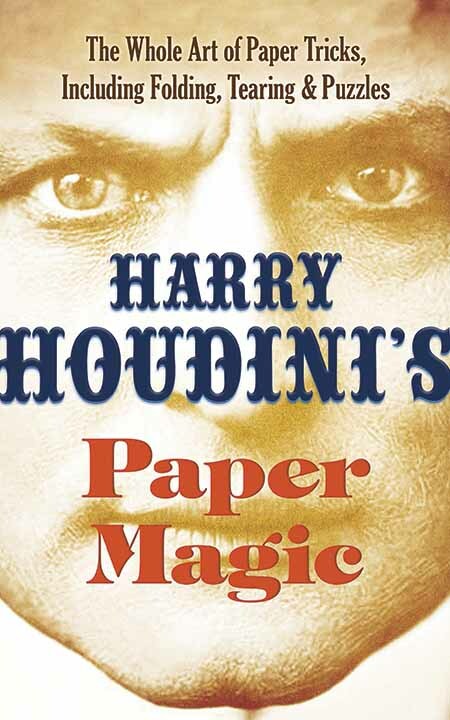 Next year Dover Publications will release a new edition of Houdini's 1922 book Houdini's Paper Magic. While this book had been reprinted many times, the fact that Dover is doing it is somewhat special. Dover has kept editions of Houdini on Magic and The Secrets of Houdini in print for several decades. In fact, Dover's Houdini on Magic was the very first Houdini book I ever bought. So we like them! On the right is an early look at the cover art. As the book has not been printed yet, this might change, but I like what I see. 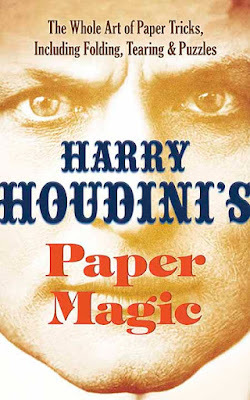 Dover's Houdini's Paper Magic can be pre-ordered at Amazon.com (U.S.) and Amazon.co.uk (UK). The release date is June 14, 2017. Click the links below for a look back the history of Dover's other two Houdini titles, still in print and going strong! I love that Dover is still at it. My Mom ordered several Dover books for me when I was a kid an The Secrets of Houdini was a mind blower when it showed up in the mail! The Dover copy of J.C. Cannell's Secrets of Houdini was one of my launching pads as well as the paperback Gibson's Houdini's Escapes. In hindsight we now know that Mr. Cannell got it wrong in a few places like the Vanishing Elephant, but it felt good at the time reading the contents and discovering Harry's secrets.